It's time to usher in a new generation of diverse, working class leaders. 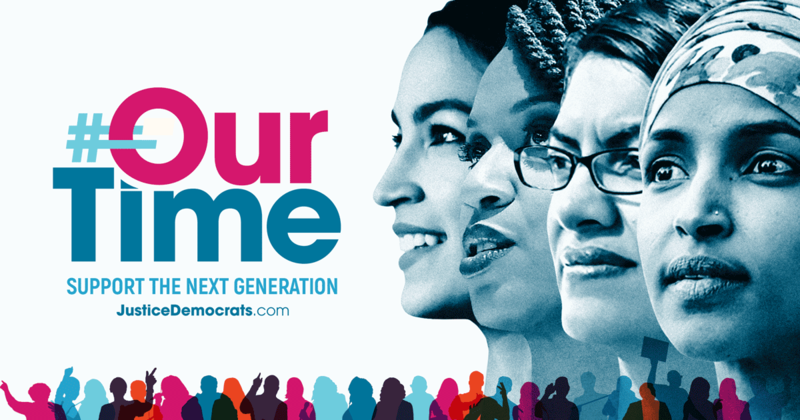 In 2018, we sent 7 Justice Democrats to Congress, including Rashida Tlaib — as a vanguard for transforming the Democratic Party. But now that the elections are over, we need to back up the progressives we just got elected. Support Rashida to make sure we build a movement in the halls of Congress that fights for Medicare For All, a Green New Deal, free college, and ending mass incarceration and deportation!